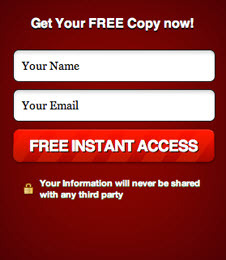 Your website should have all the leads capture tools in order to sell. Imagine sending your salesman out there to sell your products and services, without brochures, business cards, flyers and so on. He will obviously not be able to sell the products like anther salesman that has all these tools. Your website should also have all the necessary tools in order to capture leads and see your services and products. Professional Optimizer team of engineers designed tools that are exclusively available through our company for our clients to capture as many leads as possible and convert those leads into sales. Basically, we turn your website to a sales machine to sell your products and services 24/7, just like a receptionist that is working for you around the clock. Our platform and software will not only collect leads but also convert them to sales by reaching out to the visitor on the regular basis until they contact you. Live chat: we will integrate our live chat to your website that will capture the visitor’s name, email address, phone number and the reason they’re contacting you and forward it to email address. The captured email address will go through our follow-up machine which will email that visitor more details about your products or services to bring them back to your website. Research shows that he takes an average of five approaches to convert a product or service to sales, since most of the people do not take action the first time they see something and our platform does the follow-up with them automatically and will send one email every three days to them for a total of five emails. Call button: this feature will allow the visitor to call you through their desktop or laptop without needing a phone or dialing your number. They can click on the button that we get integrated website and your number will be dialed and their computers speakers we get activated and they can talk you through your speakers. Optin boxes: through our optin boxes we would capture the visitors email address, in exchange for a report which will go through our follow-up machine and would keep bringing the visitor back to the website until they take action. BookDok: is our private directories for doctors and medical related businesses that would allow the visitor to send you an appointment request in less than 30 seconds. You would capture the visitor’s name, email address, phone number and the type of insurance they have and email it to the receptionist. The easier you make it for people to contact you, the more inquiries you get and the combination of our lead capture tools will increase the chances of capturing the visitor up to 80%. Also the capture tools above are available for our clients and is included in their marketing package. Please contact our team at (866) 311-8812 for a FREE consultation and demo.